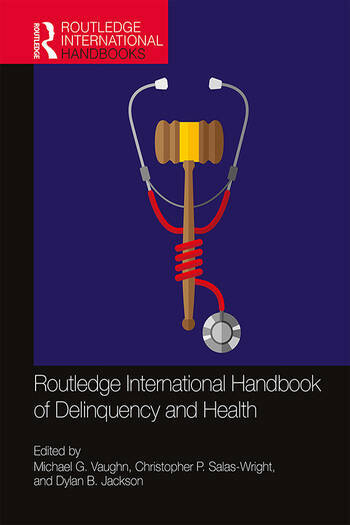 The Routledge International Handbook of Delinquency and Health presents state-of-the-art research and theorizing on the intersections between health, delinquency, and the juvenile justice system. Organized into three parts—Theoretical and Empirical Foundations; Behavioral, Mental, and Physical Health Conditions; and Prevention, Policy, and Health Promotion Systems—it is the largest and most comprehensive work of its kind, featuring contributions from scholars from multiple nations and global regions. A growing number of researchers, practitioners, and policymakers from criminology and criminal justice, social work, medicine, psychiatry and psychology, and other health science disciplines engage with marginalized adolescent populations who are at elevated risk for violence and delinquency, alcohol and other drug use, health and mental health problems, and other difficulties directly related to public safety and well-being. These risk factors often lead to short-term (e.g., detention, juvenile residential treatment facilities) and long-term (e.g., prison, parole) contact with the criminal justice system. As these fields increasingly overlap, the distinctions between them are blurred. Sound decision-making in the juvenile justice system depends on adequate research and policy at the intersection of delinquency and health. This volume represents an agenda-setting scholarly resource for the expansion of research and policy-making across the international delinquency and health continuum, and will be an essential resource for all who study or work in the field. Michael G. Vaughn, Ph.D., is Professor in the School of Social Work, College for Public Health and Social Justice, at Saint Louis University where he also is the founder and Director of the Health Criminology Research Consortium. He is a fellow of the American Academy of Social Work and Social Welfare and the Society for Social Work and Research. Professor Vaughn is an internationally recognized scientist who has published more than 400 scholarly works. Christopher P. Salas-Wright, Ph.D., is Assistant Professor in the Boston University School of Social Work and a Research Fellow with the National Hispanic Science Network’s (NHSN) Early Stage Career Mentoring for NIDA Research program. He is also a holder of an NIH (K01) early career award. Since 2012, Dr. Salas-Wright has authored more than 125 scholarly publications. Dylan B. Jackson, Ph.D., is Assistant Professor in the Department of Criminal Justice (College of Public Policy) at the University of Texas at San Antonio (UTSA), an Associate of UTSA’s Institute for Health Disparities Research. As a developmental and health criminologist, Dr. Jackson’s research is integrative, bridging empirical and theoretical developments from multiple social and health science fields.